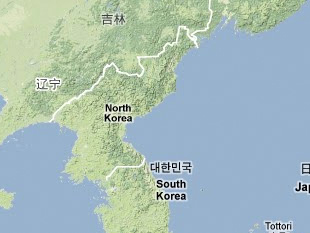 The uranium ore extracted from the Kŭmch'ŏn Uranium Mine is reportedly shipped to the Namch'ŏn Chemical Complex (남천화학연합기업소) in P'yŏngsan-kun for processing into yellow cake (U3O8) or uranium dioxide (U02). The ore extracted from this mine is called "ore number three (3호 광석)." Defector Kim Tae Ho claims that "ore number three" has a uranium content of 0.8 percent, a vanadium content of 1.4%, and other rare metals such as nickel, molybdenum and radium. Ch'oe Maeng Ho, "Puk Haekkaebal Ŏnŭsujun'in'ga/IAEA Sach'allo Palghyŏjin Shilt'ae (Ch'ojŏm)," Donga Ilbo, 11 June 1992, p. 3, in KINDS, www.kinds.or.kr. Kim Tae Ho, Watashiga Mita Kitachosen Kakukojono Shinjitsu, (Tokyo: Tokuma Shoten, 2003) pp. 19-29. "Joseph S. Bermudez, Jr., "Exposing North Korea's Nuclear Infrastructure-Part One," Jane's Intelligence Review, 1 February 1999 p. 38.